Since their emergence into the marketplace as an alternative to tobacco, health officials have been conflicted over e-cigarettes. 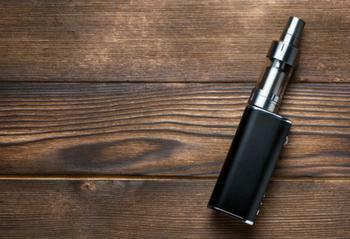 The nicotine delivery system contains chemicals, but not nearly as many as tobacco smoke. More troubling, perhaps, was the fact that little research had been done on nicotine vapor created by the devices. But researchers have been busy catching up, and a team at the Johns Hopkins Bloomberg School of Public Health reports finding high levels of toxic metals in the liquid that creates the aerosol that e-cigarette users inhale when they vape. “We do not know if these levels are dangerous, but their presence is troubling and could mean that the metals end up in the aerosol that e-cigarette users inhale,” said study leader Ana María Rule. The metals are identified as cadmium, chromium, lead, manganese, and nickel. The researchers believe they get into the aerosol, or vapor, from the metal coils used to heat the liquid. “One of the things that is troubling is that the metals in e-cigarette coils, which heat the liquid that creates the aerosol, are toxic when inhaled, so perhaps regulators might want to look into an alternative material for e-cigarette heating coils,” Rule said. The researchers say they found all five heavy metals, which can be toxic or carcinogenic when inhaled, in all the brands of e-cigarettes they tested. The Food and Drug Administration (FDA) now regulates e-cigarettes, along with tobacco, but has yet to determine whether the devices are harmful. The Johns Hopkins researchers say e-cigarettes may be less harmful than cigarettes for smokers who switch from cigarettes. But health officials have always been concerned when young people who have never used tobacco start using e-cigarettes. There are concerns about potentially harmful chemicals, as well as the addictive nature of nicotine. That's why a new University of Michigan study is cause for concern. It found that high school seniors were four times more likely to smoke at least one cigarette in the following year if they smoked e-cigarettes -- even if they had never smoked a cigarette before. Richard Miech, the study's lead author, suggests using e-cigarettes may change young people's perceptions of smoking risks. He says teens who vape are the least likely among their peers to see health issues involved with smoking. Bottom line, Miech says teens who vape are more likely than their peers to become smokers in the future.